For a limited period only, we are offering business cards at great prices. Even bigger savings on larger quantities! 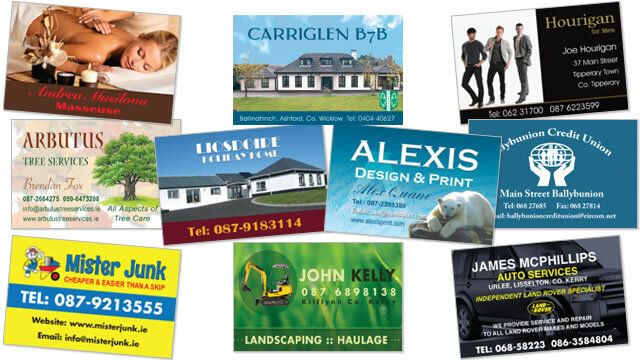 Business cards will be designed, printed and delivered to anywhere in Ireland. These cards are on 4000gsm card and matt laminated which makes them higher quality and more durable than many of the online cards available and are among the cheapest business cards designed, printed and delivered in Ireland. Order now by contacting info@emdzine.com or call 066-7137932 or 0872492938.